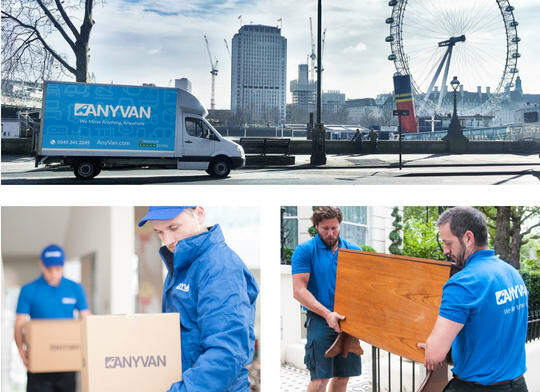 Allow AnyVan to make your European move as easy and cost-effective as possible. Our international removals services can put your logistical needs in the safest hands, whether you’re moving house or office. Get an instant free quote and let us take the stress of your move away.. With our trusted transport partners you can rest easy knowing that the utmost care and attention will be paid to your belongings throughout the entire journey. We assign expert European move co-ordinators to oversee all of our international moving operations from start to finish. This means you're constantly in safe hands, and always have someone to get in touch with. We have qualified, experienced transport partners ready to provide transport to Spain, France, Italy (to name a few) and beyond. We’re always ready to provide an expert service at an affordable price. Moving to and from Europe, whether it’s a personal move or you’re relocating for work, gives you more to consider than a straightforward move. Hiring and driving a van yourself is fraught with potential perils and inconveniences: you need to know exactly how to get to your destination, and be absolutely certain about international road etiquette. And that isn’t even taking into account the additional costs of European van hire, such as insurance and petrol. On paper, the entire process sounds utterly overwhelming. With AnyVan, it doesn’t have to be. We offer extremely competitive pricing so you can get moving at a moment’s notice and know you’re in safe hands. At the same time, you can plan your international removal task months ahead. We are happy to work with your schedule, and are always ready to leap into action. AnyVan’s services span the entire continent. If you’re looking for great prices for a job going to or from any part of Europe, don’t hesitate to get in touch. We’ve put a smile on the face of more than 30,000 happy movers and we’d love to do the same for you. Our experienced European transport partners are ready to help you with your transport, packing, assembly and disassembly needs today. Contact us for a free quote now for prices starting from only £79.